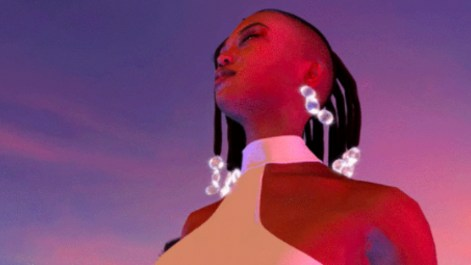 Kelela's latest draws inspiration from The Sims, with the visual for "Frontline" featuring animation straight out of the classic computer game. The song was debuted back in September as part of the soundtrack for Insecure and later appeared on her 2017 debut album, Take Me Apart. "I love speaking to my fans through music videos and I always find it more fun to reference things that we can all relate to that may not be in the forefront," Kelela shared withRolling Stone of the visual's inspiration. "With this Sims-like video, I was able to tell my story in a light-hearted but dramatic way. It's about leaving your ex with the wind in your hair while acknowledging a curiously complex feeling of pain that he has left you for a white woman." A-Trak and Young Thug have been collaborating for quite some time now, accumulating a catalog of joint records since 2013. Recently the storied producer and Global Spins Awards recipient recruited Thugger once again for a new collaboration, this time bringing in Atlanta's 24hrs and his Fool's Gold peer Falcons for the track, "Ride For Me." The accompanying visual is a fitting ode to the love of 90's skateboard culture, full of archival, throwback footage. After garnering his first Grammy nomination earlier this year, Compton rapper Problem is on track to have the best year of his career yet. While he is readying the sequel to his DJ Drama-hosted mixtape The Separation, he has shared the first release off the forthcoming project, "Stressin'," which features production by JB Minor. The Mike Marasco-directed visual follows Problem as he wanders the street and spits his truth. Rising Atlanta rapper Skooly has the blessing of the city's own tour de force, 2 Chainz himself. For their new collaboration, "Habit," which appears on Skooly's 7-song EP, Don't You Ever Forget Me, the visual shows love to the late Bankroll and was filmed in front of a simple-yet-effective black backdrop. DJ Premier and Royce Da 5'9 are back, and naturally, are wasting no time. The pair's latest, "Rock It," is set to appear on their long-awaited album, PRhyme 2, with its accompanying video helping build anticipation. The video keeps it simple, with the splitscreen footage matching DJ Premier's cuts and amplifying the fierceness of Royce's bars. Aaron Cohen is readying his next album, See Red, which is set to drop this Friday (March 2). To celebrate his hard work paying off, the Seattle lyricist shares his latest video for the track, "Hit You," which features a guest appearance from Godbodywati and production by Kemal. The Omar Jones-directed cut follows the rhymers around town, with trippy visual effects adding to the song's flair.